Started by three Chennai-based brothers to provide nutritious food supplies that were once enjoyed by our ancestors, Gramiyaa strives to give us the best of organic food with a South Indian touch. With three branches across the city (Adyar, Alwarpet and Anna Nagar), you can find a range of food products here. 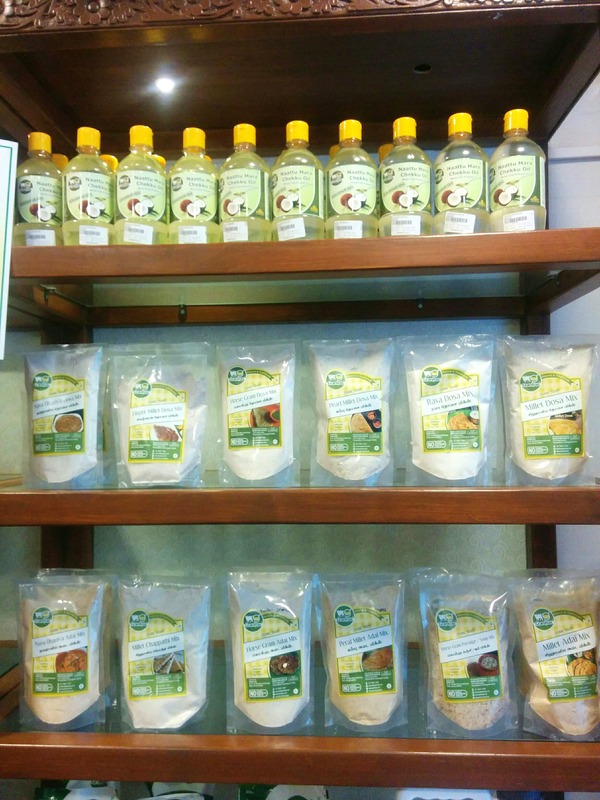 We visited the store in Anna Nagar and were simply impressed by the display there, particularly the oils. Yes, Gramiyaa’s speciality is it's wood cold pressed oils (known as Nattu Mara Chekku oils) which is the traditional method of employing wooden pestles to extract oil. Available in varieties like gingelly oil, groundnut oil, and coconut oil, these can be found in multiple sizes, occupying most of the racks of this tiny store. We also found plenty of freshly prepared snacks and sweets at Gramiyaa like Karasev, Moringa Boondhi and several types of murukku like Mullu Murukku, Ragi Mullu Murukku, Plain Rice Murukku, Rice Ribbons, and Paruppu Thattai, all made with wood cold pressed oil and organic ghee. As for the sweets, we found tempting options like Ghee laddu, Thotal Halwa, Adhirasam, Karuppatti Mysore Pak all made with jaggery and organic ghee. Gramiyaa also has a range of millet, pulses, and mixes. We found options like Pennywort Idly Podi, Vathakolambu Podi, sambhar powder, garam masala powder, tamarind rice mix, millet adai mix, dosa mix, horse gram porridge, red rice puttu mix and more. We bagged quite a few of these fresh, preservative-free condiments and simply can’t wait to try them.